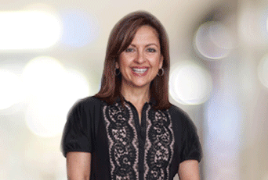 San Antonio Dentist, Dr. Sylvia Martinez, has been helping people maintain their smiles since 1983. Our dental office is located in North Central San Antonio, Texas with convenient access from Castle Hills, Alamo Heights, Elm Creek and surrounding areas. Our doors are always open to welcome new patients who are ready to receive the best in dental care. With our array of dental services, it’s no surprise we are regularly expanding our family of patients. If you are interested in becoming a new patient, please call our office at(210) 344-4443. We are skilled at treating patients from all dental backgrounds and make every effort to ensure your appointment is as comfortable as possible. We provide superior dental care to get you onto the path of improved dental health.